Democrats warn the plan could shut out less affluent families from college. A new White House proposal backed by Ivanka Trump and Education Secretary Betsy DeVos to limit certain federal student loans has sparked a debate on how the federal government should address the growing crisis of student loan debt. The White House is hoping that limiting the amount available to students would, in turn, encourage colleges to charge less. But critics aren’t so sure that would work, and Democrats warn the plan could wind up shutting out less affluent families. The high cost of college and its impact on the broader economy is a major issue for the Trump administration as student loans are now a significant contributor to U.S. debt. According to NerdWallet, student loan debt was $1.5 trillion last year with more than 62 percent of Americans over the age of 30 still paying off their higher education costs. The White House’s recommendation comes just ahead of DeVos heading to Capitol Hill to testify before a House subcommittee and as Congress weighs reauthorization of the Higher Education Act. "We need to modernize our higher education system to make it more affordable, flexible, and outcomes-oriented so all Americans, young and old, can learn the skills they need to secure and retain good paying jobs," said Trump, a White House adviser, in a statement last week. 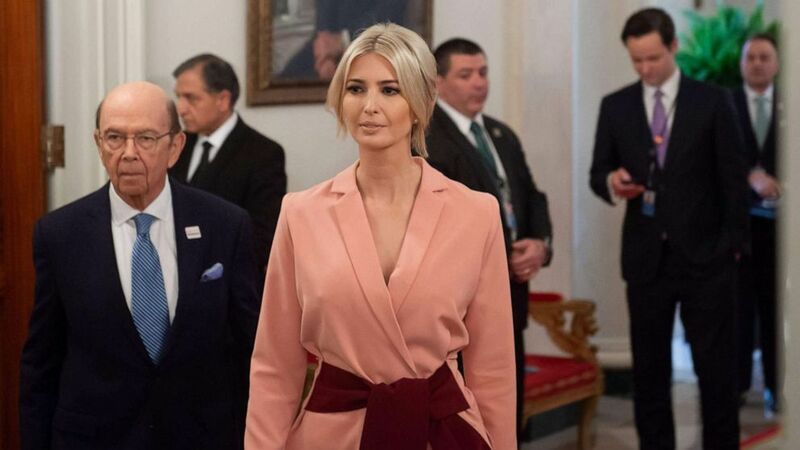 (Saul Loeb/AFP/Getty Images) Senior White House adviser Ivanka Trump arrives for the first meeting of the American Workforce Policy Advisory Board at the White House, March 6, 2019. The administration proposal would limit PLUS loans, which are available to graduate students and parents of undergraduate students. The maximum PLUS loan amount you can receive is the cost of attendance, which is determined by the school, but minus any other financial aid received. The Trump administration didn't specify what the limits would be in their proposal. The move is aimed at ultimately driving down the cost of college. In the memo released by the White House last week detailing the proposal, it cites a 2015 report by the New York Federal Reserve which looks at the link between ballooning tuition costs and federal student aid availability. "Research shows a correlation between the availability of federal student aid and tuition increases. The current system provides institutions of higher education with few incentives to control costs and saddles parents and graduate students with debt while little attention is paid to borrowers’ likely ability to repay. To address rising debt, the Administration proposes establishing common-sense limits on Federal student loans, as well as improved guidance to students regarding their likely ability to fulfill repayment obligation," the White House proposal said. Removing previous caps on the amount parents could borrow and the creation of graduate PLUS loans "has helped fuel increases in college tuition and the doubling of student loan debt in the last decade alone," said Richard Hunt, head of the Consumer Bankers Association President, a group that works on retail banking. But Democrats say capping federal loans would also limit access to higher education for individuals who might not qualify for private loans. Sen. Patty Murray, the top Democrat on the Senate panel with oversight of education issues, said the proposal ignores the bigger problem that most students can’t afford college without taking on massive amounts of debt. "In fact, this proposal would end up hurting students by reducing the amount of federal aid for students and taking billions out of the pockets of borrowers," said Murray, D-Wash. According to one House Democrat, incomes haven’t kept pace with the sharp rise in tuition hikes. Rep. Bobby Scott, the chairman of the House education committee, said the median household income increased by a modest 12 percent from 1990 to 2015, whereas the net cost of attending college increased by 81 percent. Scott, D-Va., points to a decline in state investment in higher education as a primary cause for college becoming so expensive. But he understands why families are wondering if college is still worth the cost. "The evidence and research demonstrate that, given well-supported and responsible institutions of higher education, the answer is an overwhelming 'yes,'" he said at a hearing on the cost of college. Democrats control the House so it’s unlikely the Trump administration’s plan is much more than a starting point for debate. ABC News' Anne Flaherty contributed to this report.